Local mums are loving the opportunities in our area for becoming a work-from-home mumpreneur. If you love jewellery too, Stella & Dot is the one for you! Local mum Abby Hawkes loves the fashion, the flexibility and� the fun of being part of a vibrant community of women at�Stella & Dot, a social selling jewellery company that creates flexible opportunities for women to be work-from-home entrepreneurs. “I love the beautiful, fashionable and boutique-style jewellery and I love being able to build my own business around it,” says Abby, local mum to 18-month-old Sienna. Designed in New York and San Francisco,�Stella & Dot�products are available exclusively through in-home ‘trunk shows’ by Independent Stylists and online. Kim Kardashian, Jennifer Aniston, Penelope Cruz, Paris Hilton, Katy Perry and Princess Eugenie are some of their more famous fans. “My average hostess receives a free coin pouch (worth �35), �100 in free jewellery and up to three items at 40% off just for hosting and having the girls round,” adds Abby. Stella & Dot�is an Inc 500 fastest-growing company dedicated to giving people great style, fun and opportunity in their everyday lives, in a personal way. 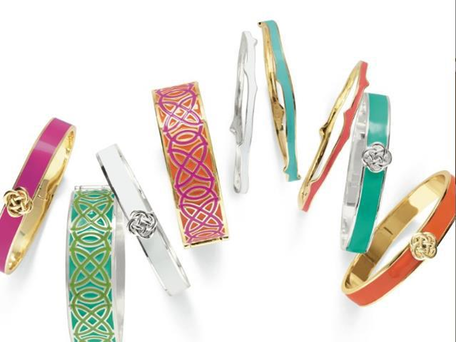 If you would like to hear more about�Stella & Dot�jewellery and hosting a trunk show yourself then get in touch with Abby. Find out more about Stella & Dot and read Wallington Mums‘ reviews by clicking here.